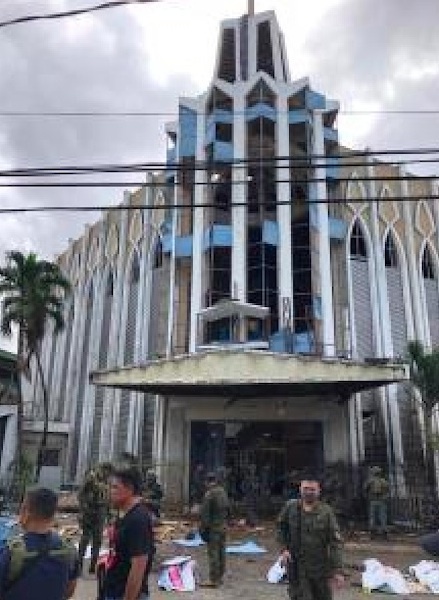 DAVAO CITY (MindaNews / 29 January) – There is “no other conclusion to reach” but “lapse in security” led to Sunday’s bombing inside and outside the Our Lady of Mount Carmel Cathedral in Jolo, Sulu that left 20 persons dead and at least a hundred others injured, Presidential spokesperson Salvador Panelo said Monday. “We will have to investigate how it happened. 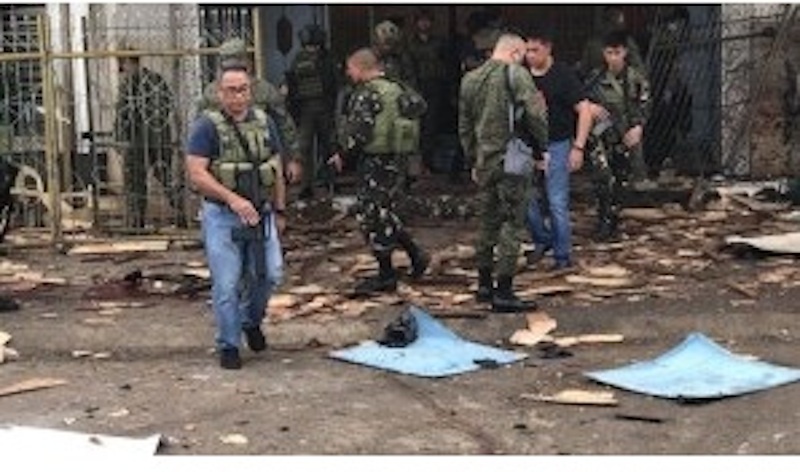 There may be some lapses in security, how they were able to put there — is that a motorcycle with a bomb — despite the fact that there were soldiers securing the place,” Panelo told the Malacanang Press Corps. The Jolo cathedral bombing happened just as Sulu and 26 other Mindanao provinces and 33 cities entered 21st month under martial law. 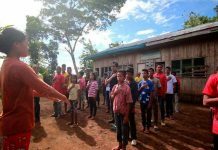 Sulu’s security protocols were even reinforced last month when President Rodrigo Dutere went to Jolo on December 17 to activate a new division — the 11th Army Division — whose main task was to put and end to the terrorism of the Abu Sayyaf. “Well, they are saying that … despite martial law, there has been bombing and therefore martial law should be lifted. With more reason, martial law should be in place because if you can do that under a martial law regime, then the more reason you should maintain it and be more strict in the implementation of security measures in that area,” Panelo said. Panelo, a lawyer, said there is “no other conclusion to reach” but lapse in security. “If you have security there and there is one or two bombs being placed inside, then there must be a lapse in security. There is no other reasonable conclusion,” he added. Mindanao has been under martial law since May 23, 2017, Day 1 of the Marawi Siege. 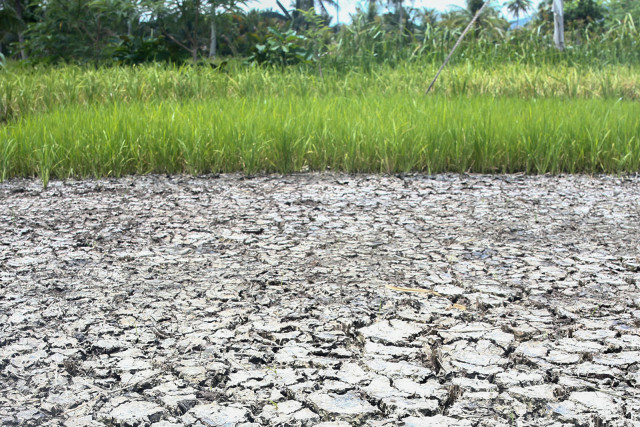 The extreme measure should have been for a maximum of 60 days only but in July, the President sought an extension until yearend 2017 as the war against the Islamic State-linked Maute Group and the Abu Sayyaf was still raging. The President declared Marawi “liberated from the terrorist influence” on October 17, 2017 but instead of lifting martial law, sought another extension until yearend 2018 and last month asked for a third extension until December 31, 2019. On December 31, 2018 – an improvised explosive device went off just outside the South Seas Mall in Cotabato City killing two persons and injuring 34 others. “That’s little? That’s little, sir? Two bombings in one month, that’s little to you?” the reporter followed up. “To my mind, if there was no martial law there, then there would have been chaos and anarchy there. You see how they were able to get Marawi? There was no martial law then,” he said. “So you’re saying the Palace is not disappointed with how the AFP is handling martial law or enforcing martial law in Mindanao?” Panelo was asked. “No, but there should be some investigation as how it happened so that preventive measures can be undertaken,” he replied. “With 75% of AFP troops positioned, thousands of checkpoints set up in Mindanao and billions of funds funneled to intelligence operations,” the President and security forces have “failed to prevent bombings and quell violence in Mindanao,” Suara Bangsamoro said. It is not clear exactly what time the nocturnal President found out about the Sunday morning bombing or who informed him. Duterte starts his day at noon. 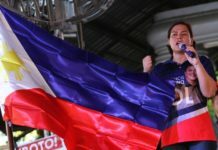 Former Special Assistant to the President Bong Go told MindaNews the President already knew when he communicated with him on Sunday and “sabi nya lang punta tayo ng Jolo ASAP” (he said let’s go to Jolo ASAP). Duterte flew to Jolo, Sulu from Davao on Monday afternoon, visited the cathedral and the injured in the hospital and condoled with the families of the slain victims. “Sad kaayo siya” (he is very sad), Go said. Panelo said the law will not give the perpetrators mercy. “We will pursue them to the ends of the earth, until every killer is placed behind bars,” he said.